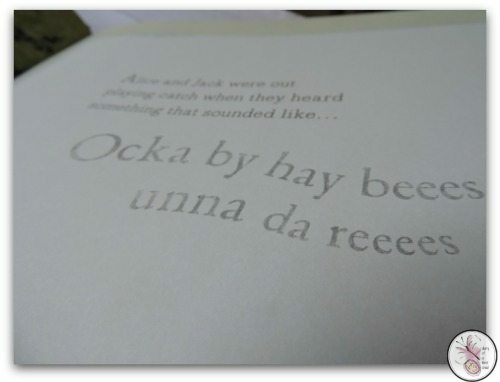 Aw, there are books that are “sweet for kids”, and then are books that are just genuinely sweet. This is definitely one of those. You know the ones I mean? That actually tug at your heart strings, and if you are going to pull out a few books for the children to choose from for bed time reading, it’ll probably be included? 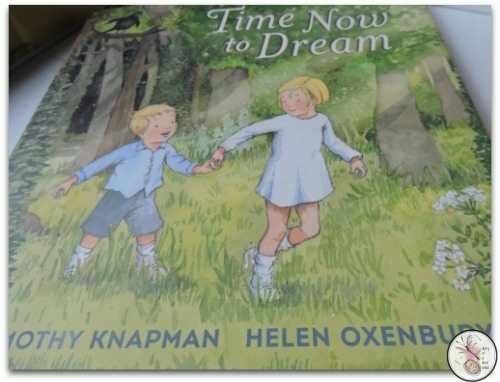 Time Now To Dream by Timothy Knapman is one of those. Time Now To Dream is a gorgeous story of two siblings, Alice and Jack, who are playing catch when they hear a strange sound. They head into the forest, following it. At first the forest is foreboding and scary looking, and the sound continues. Jack is a little afraid, but big sister Alice reassures him that everything will be okay and that they have to be brave. Suddenly they find the source of the sound – a song – and it’s the wicked wolf, except she’s not so wicked – she’s a mama wolf singing her babies to sleep. I love the song lyrics – It starts ‘Rock-a-bye- babies under the trees’ so while the lyrics are different, it lends itself to singing the familiar tune but with the new words. As the wolf cubs head off to sleep Alice and Jack return back through the forest – which is now bright and sunny and inviting looking. The kids get themselves into pyjamas and bed, drifting off to sleep with mama-wolf’s song still in their heads. I also love how this story turns the big-bad-wolf on it’s head and makes her a loving mama! My first question was where is their mama, to sing them to sleep, but that’s just a little detail. 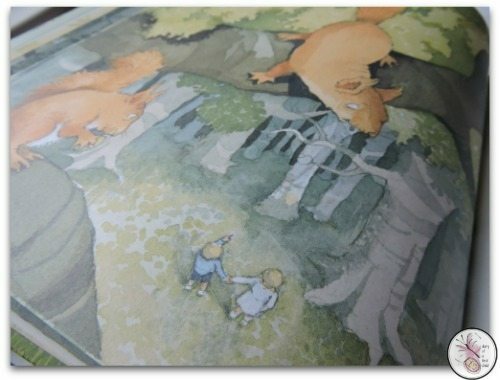 The illustrations by Helen Oxenbury are beautiful. Reminiscent of an old-style water colour book in soft pastels – perfect for bed time, really. 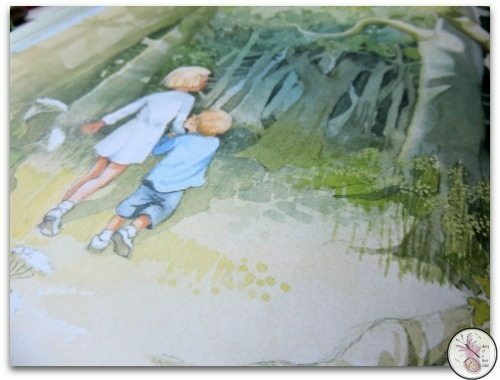 The children are classically drawn – it reminded me a little of original Winnie the Pooh drawings. Very beautiful, wholesome feeling, if you can call pictures wholesome! Time Now To Dream is a beautiful book and it definitely gets a huge thumbs up from me! *Get this for the weekend with Amazon Prime – £7.99 gives you a month of free deliveries! We received this book free in exchange for an honest review. Links may be affiliated, but you won’t be charged for using them.